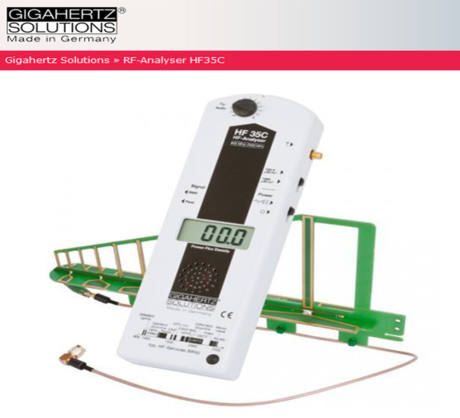 The GigaHertz Solutions HF35C, high frequency analyzer, measures the power density (uW/m2) of radiation from wireless devices in the radio frequency (RF) and microwave range of 800MHz - 2.7 GHz. 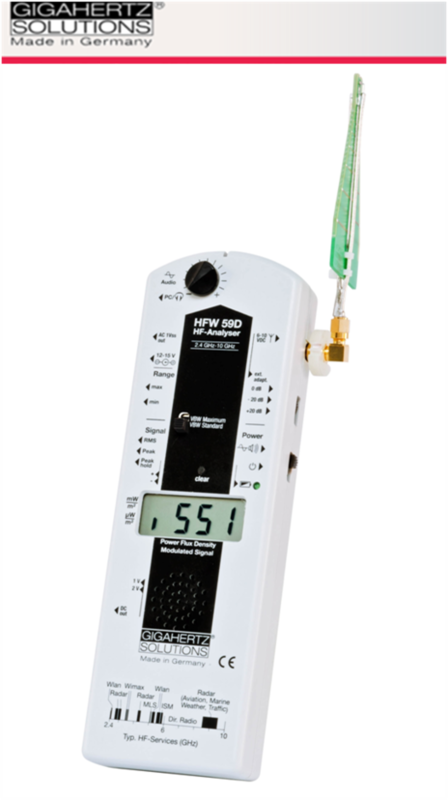 It measures power densities up to 2,000 uW/m2. The link to purchase this device is HERE. Most wifi products today use the microwave range of 2.4GHz and 5 GHz to operate. The GigaHertz Solutions HFW59D, high frequency analyzer, measures the power density (uW/m2) of radiation from wireless devices in the microwave range of 2.4GHz - 10GHz. It provides well-proven common advantages of the broadband measurement technology of Gigahertz Solutions for this frequency range. The link to purchase this device is HERE. An attenuator for the HF35C, high frequency analyzer, expands the power density measurement capabilities up to 200,000 uW/m2. 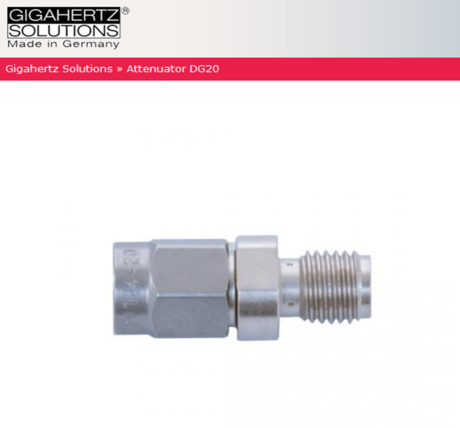 The link to purchase this attenuator is HERE. 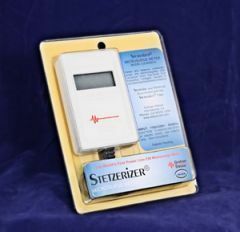 The Stetzer MicoSurge Meter measures voltage spikes and noise (V/sec) in electrical circuits. The link to purchase this device is HERE.